We have a winner! 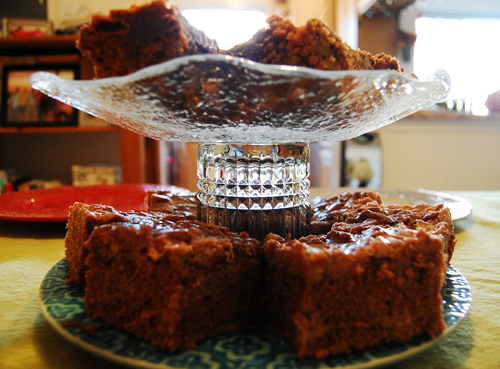 Lori DuVall Rosemond’s Coca-Cola Cake is the “And Such” recipe contest champion! Now, before you accuse me of nepotism, you should know that all of the judging was blind. I was the only one who knew each contestant’s name, and I didn’t vote. It was a close competition, but this Coca-Cola cake, in the judge’s opinion, had the best story and the best flavor. When asked what makes this recipe southern, she responded: 1) Coca-Cola (which was “born” in Atlanta, Georgia in 1886); 2) Pecans (Georgia is the largest producer of pecans in the United States); and 3) Buttermilk (my dad grew up on a dairy farm and ate cornbread and buttermilk for dinner every Sunday night). While my opinion didn’t count in the official judging, it sure does count here. This cake was a delight to make and eat. The recipe had great flavor and texture, it was straight-forward, and the story that accompanied it was by far the best that we got. Coca-cola cakes are a southern institution, and this was one of the best I’ve ever had. So while I will probably get flack because my aunt won my recipe contest, the judges had no idea who made it and they loved it, hands down. So, congratulations, Lori, your cake came out on top! Combine sugar and flour in mixing bowl. 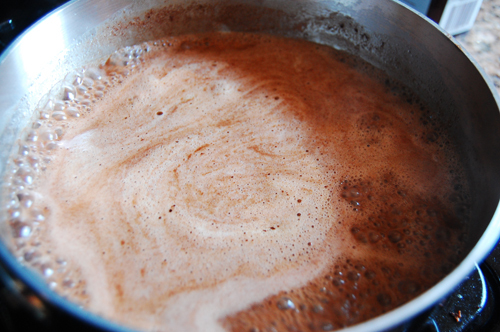 Heat butter, coca-cola and cocoa to boiling and pour over flour and sugar mixture, mixing thoroughly. 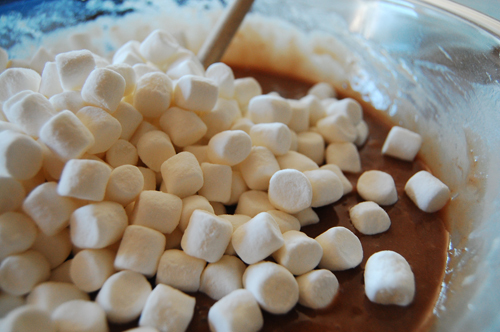 Add buttermilk, eggs, soda, vanilla and marshmallows. Mix well. 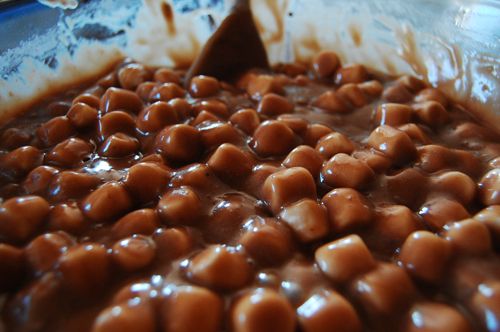 This will be a thin batter with marshmallows floating on top. Bake in greased and floured 9×13 pan at 350 degrees for 35-45 minutes. Ice while hot. Combine butter, Coca-Cola and heat to boiling. Pour over sugar. After beating, stir in chopped pecans and vanilla. Spread over hot cake. I want to make this for a party, but one of the friends is allergic to nuts (not deathly, but her throat will close up a little if she eats them). 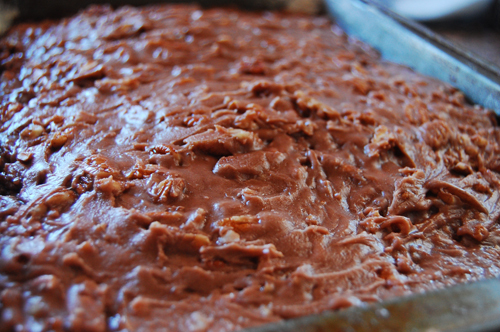 Would the frosting still taste great if I leave out the Pecans? Thanks for that. We’re having a big potluck party this month, kind of for Xmas I guess and I’ve been trying to find something unique. You know, someone should invent a website where you can write what you’ll be taking, and it would check no one brings the same thing! I grew up eating this cake and it’s T.H.E. B.E.S.T. cake ever! When I moved north from Charlotte people here call it Texas Sheet Cake. Not moi! And I love to make it with Cheerwine instead of Coke!